The JCB4 is a connecting block that connects and powers the IR-sensor and IR-emitters. It also features a 'quick-connect' stereo mini-jack. 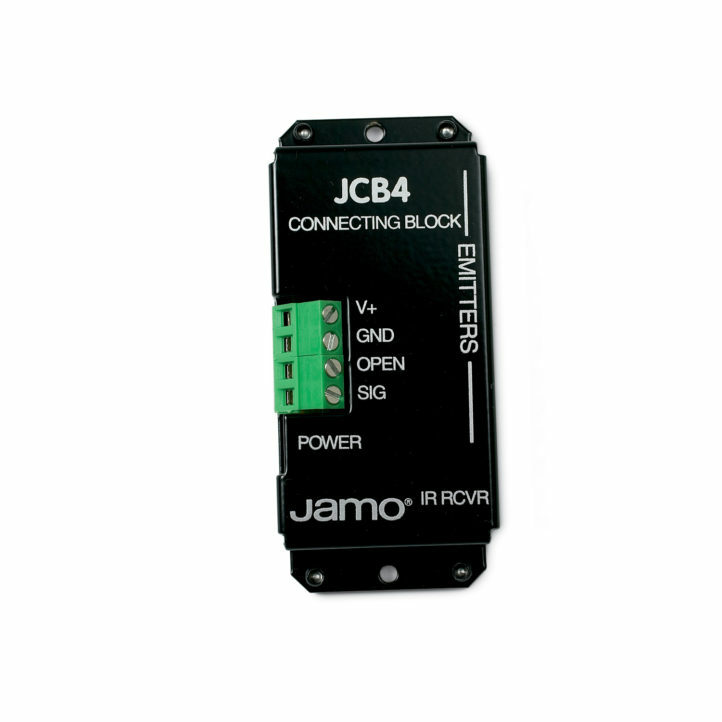 The JCB4 can connect to four emitters.